Registered nurse schools in New Hampshire make it easier for you to enter into the nursing field. 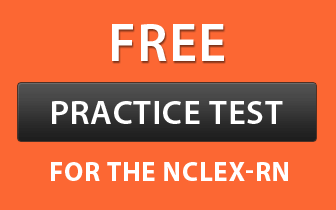 You just need to enroll in a state approved program, complete it sincerely and qualify the NCLEX-RN exam. These programs equip you with a wide range of skills such as emotional stability, sympathy, and patience that supports the nurses in delivering quality services to their patients. This program involves a comprehensive curriculum that combines theoretical classes and clinical experiences. It is compulsory to meet the following requisites for registering in an RN school. The candidate can enroll only after attaining the age of 18 years. An aspirant should own a high school diploma. It is very essential for every student to have fluency in English. One should submit all the imperative documents as required by the respective institute in which s/he is going to take admission. It is mandatory to pass the drug test and criminal background check. You are expected to submit a valid photo ID and address proof. Many colleges require you to qualify a pre-entrance test known as TEAS (Test of Essential Academic Skills). Associate Degree in Nursing: This program is recognized by the National League for Nursing Accrediting Commission and approved by the New Hampshire Board of Nursing. It is an arduous program that requires hard work and dedication. The coursework is designed to meet diverse health care needs and can be completed in two years. Bachelor of Science in Nursing: The main objective of BSN program is to prepare proficient professionals who can contribute towards societal and individual health. One also learns to implement his/her knowledge into practice. It is a four-year program that focuses on critical thinking, leadership and decision-making skills. Direct Entry MSN Program: This program is designed for those individuals who don’t possess nursing credits in their bachelor degree. It comprises of an extensive curriculum and hands-on practice which prepare students for various positions in health care settings. Accelerated BSN Degree: Individuals holding a bachelor degree in other disciplines, of them those who aspire to become an RN can join this degree course. It takes around 12 -18 months to finish off this curriculum. LPN to RN: This is an advanced course that provides broad career outlook to the licensed practical nurses who wish to become a registered nurse. RN to BSN Program:RN to BSN track offers a lot of professional opportunities for working registered nurses who want to complete their bachelor degree and at the same time, intend to augment their previously earned credits. Successful completion of the above mentioned courses allows applicants to appear for the NCLEX-RN examination. Master of Science in Nursing: MSN is a post-graduate program which involves nursing theories and concepts along with their application and implementation in a variety of clinical settings. The curriculum of this program strengthens the nursing foundation and develops proficiency in specific areas. An RN aspirant should pursue a degree from accredited college. Here is a list of institutes that offer various RN courses and are approved by the state. Note: Except Colby-Sawyer College and MCPHS University rest of the colleges offer RN to BSN programs.